Beethoven Sonata Op. 2 No. 1: Allegro from WorldOfBeethoven on Vimeo. Also, at the end of this post, there is a link to part two, at the end of the part two post, there is a link to part three etc etc. Enjoy! Op.2 No.1 is Beethoven’s first published sonata. He wrote it in 1795 or 1796, dedicated it to Joseph Haydn, his teacher at that point. The relation between Haydn and Beethoven was complicated: the legend goes that Beethoven simply didn’t believe Haydn taught him much. I think it is much more complex that that, but I think it is safe to say that Mozart, not Haydn, was Beethoven’s biggest influence and the composer he admired most. 1) The instrument of those times was very different. We may want to adapt to it or not, but listen to this piano which was Beethoven’s ( yes, this exact piano was his) in 1823, almost 30 years after he composed this sonata. It’s a much more fragile sound than the pianos of today, no? 2) Beethoven was establishing himself as a composer when at the time of composing the first three sonatas. We can argue on the effects it makes on the music, but the fact is, Beethoven wrote this the same year (or the year after) as his first public performance took place in Vienna. In my opinion the music is more outwards than inwards, even in the beautiful slow movements. “a musical technique perfected by the Mannheim Orchestra in the 18th century in which a rising figure (a scale or arpeggio) speeded up and grew louder as it rose higher and higher (hence the term “rocket”)”. A rocket needs a motor…and you will see in a moment how Beethoven is messing with that fact in this sonata. I love the bird, very Vivaldi! Then we have another example of a Mannheim Roller. They stay with the bass tone (which is called ostinato) and goes up, up, up. Get the idea? These build-ups were not really existing before they started doing it in Mannheim. (without the Bap-shuadi, Bap-shuadiadi, though). Now, what is much more interesting to me than just establishing that those two pieces begins with the same kind of Mannheim Rocket, and this is quite essential to getting to know the Beethoven sonata, is this: Why do they actually sound so different when the begin with the same motive? To me, the Mozart rocket is something you can sing along to easily, it gets stuck in your head right away (you might end up singing it for the rest of the day quite easily), while Beethoven does not have that quality at all. And it’s essentially the same motive. Now we’re getting to more interesting territory. Because it’s WHAT Beethoven does with his rocket, and what he surrounds it with that makes it so different. Mozart puts a nice “motor” under his rocket ( plus the fact that strings have a more melodic sound than a piano), which gives the motive a bouncy and more melodic character. The “motor” is the accompagnement, and what does Beethoven do with the accompagnement? Well, instead of giving the piece a steady beat, he takes away the first beat in every bar. He tears things apart, the music breathes irregularly, and this is why you won’t sing this one in your car. So, while the accompaniment in the Beethoven sonata is being very unstable, the right hand rocket is the driving force, the “motor”. And then, instead of just playing the rocket twice, nice and balanced like Mozart, he repeats it with shorter and shorter versions, so there is this sense of urgency and impatience (which might very well be quite close to Beethoven’s own character, actually). to build a piece by tearing apart what it’s made of. Sounds like an impossible thing, doesn’t it? But guys, this is art and that’s the beautiful thing with art: it defies logic. Thanks a lot for this interesting lesson! An amateur like me needs this kind of guidance sometimes, in order to understand what’s “between the lines”, hence getting a more in-depth understanding of the music. It will be interesting to see if you can guide me further into the world of Beethoven’s … you see, I have always had a dual opinion of him. Brilliant composer of some true masterpieces, of course, but there is also something that repels me from time to time … My thoughts almost automatically forms the phrase “difficult music from a difficult mind” when I listen to Beethoven. Sure all these portraits of that angry face help giving that impression, also the knowledge that he got deaf and bitter. Maybe he was bitter because he was born in the wrong century. 😉 I am sure he would have been a mega star of rock if he had lived today. On the other hand, rock would probably not had sounded the way it does today, if Beethoven not had laid the foundation 150 years ago … Well, somehow you can always hear a bit of Beethoven in modern rock music, can’t you? I’m looking forward to the Moonlight Sonata! “Between the lines” is very well put! Actually, it didn’t feel like that much work because it’s fun to write about something that one is very passionate about. And I benefit from it myself, having to articulate certain things and it makes me think a little harder. Oh, you will see: Beethoven has a fantastic sense of humor in his music! Angry and bitter maybe sometimes…but also a very passionate human being, and now you got me the idea to post some of his letters here! They are fantastic. Nice idea to show his letters. BTW, the only curiosity I happen to know about LvB is that his handwriting was rather sloppy and hard to read (why is this not surprising?) Therefore the name of his famous piano piece “Für Elise” is probably just a result of a misreading. This is all very interesting to me. I enjoyed seeing the piano that Beethoven used and wondered at it’s switch of black to white keys and visa-versa. Kind of reminds me of the left-handed piano today – that has the curve of the piano on the left and plays treble with the left hand. *secretly wonders what THAT would do to the Beethoven sonatas. I hear, in the first sonata – Beethoven – having run away from home, searching up every alley he can find looking for the place he should now be. Of course, I think he would have stuck with Haydn had his mother not died and he had to go back and attend her funeral – but you hear not only the ‘help’ that Haydn was giving him systematically and musically – but the love that Haydn poured out on him. Haydn, if I remember right, was also a ‘street kid.’ He was kicked out of the chorale he sang in when his voice changed. His family wasn’t wealthy and he was forced to eek out an existence at quite a young age. This forced both him and later Beethoven to become extremely skillful at what they did to simply survive the times. But, they were both different. Beethoven immediately put his skills to expressing what he was feeling. In this piece, I hear Beethoven – a young boy – running away (almost in a panic). He could no longer take what was happening to him and he runs in very many directions – not sure exactly what he should do since he is still very young. Then, you have this beautiful adagio. To me, this is Haydn simply taking Beethoven in and talking to him. Not overbearing or harsh – but simply giving him reason and telling him that he has talent. Beethoven may resist being taught at this point – but he comes back to Haydn later in his life and almost says ‘he taught me everything I know’ in terms of understanding of making music ‘sing.’ The Opus 28 would be one of my examples (also in 3/4) that ‘sings’ itself. And, some of the singing middle movements that Beethoven seems to come up with effortlessly. In fact, the first movement of the Opus 28 reminds me of Beethoven’s impression of Haydn – and then the contrast between Haydn and his father in the Andante of the Opus 28. For instance, in Vienna – you’d have orchestras that played so refined that they wouldn’t THINK of doing what Beethoven does in measure 146 of the Opus 2 No 1. Just basically stops everything like a policeman at an accident site. Right there, near the end. I’m wondering if that almost gave Haydn a heart attack. I mean, this kid is supposedly inheriting Mozart’s style from Haydn and the kid is putting roadblocks already in his music. PS I think what Beethoven has already done in the first movement – in his unusual use of a backwards and upside down ‘picardy third’ – in the sense that in this measure 146 we are expecting major – and we get diminished. Perhaps this is one of Beethoven’s first cracks in the sonata to create a larger form. The minuet/trio of the Opus 2 no1 – is changed suddenly in the second sonata to be a Scherzo. That was an unusual development also. Showing that Beethoven liked to break boundaries and wasn’t interested in conforming totally to Viennese politeness. First of all, thanks for all the comments! It’s interesting (however “risky”, but that’s evident of course) to see it from a psychological angle as you do here. Very true, Beethoven had a family situation which was never happy, not in childhood and later trying to take care of his nephew Karl was also a disaster. What is interesting is how could he develop such an amazing sensitivity with this kind of early life? To be fair though, his Father’s quest for the young Ludwig to be a child prodigy also made him see very good teachers as a boy, who helped him get support from rich and influential people very early on. I don’t think that Beethoven refused to be taught actually…he just thought Haydn was not spending enough energy as a teacher. As I understand it he WANTED to learn but didn’t think Haydn cared enough. Now, to get more info on Haydn’s influence on Beethoven, any suggestions? Yes, in the second sonata the minuet becomes a scherzo. Is that the first time in history perhaps? I’m not sure. I enjoy reading your blog and your answers. You are a very thoughtful person. From all I have learned about Haydn – and that is typically from college music history textbooks – he wasn’t hard to reach at all. He was in fact, the other way around. It was Beethoven that was a bit of a ‘sass master.’ Perhaps if his attitude was not so good at the beginning – it could start one off on a bad footing – but from all I have read Haydn bent over backwards to make sure that Beethoven had all the necessary information to go forward. What Haydn did far outshone any of the connections his father provided. After all, his family was dirt poor and couldn’t afford weekly lessons. I don’t think that he got more than 10 lessons in total throughout his entire youth – but I could be wrong. However, his father DID ask him to practice and perform in the middle of the night for groups of friends that would come over – drunk – and not really interested as his father would be in his playing. It was a ‘monkey’s audience.’ Haydn, on the other hand – wasn’t pushing Beethoven to perform – but to listen to the Masters and learn. To be quiet – stop thinking of himself so much – and to take things in systematically so that he could become a composer/pianist and not just pretend that he had an education. I believe that actually the only ‘real’ teacher that was provided to Beethoven in his youth besides his own father was Christian Gottlieb Neefe -the court organist. I have no idea if he offerred his services to the young Beethoven for free or not – but perhaps it was the first real start for Beethoven in learning about courtly matters. Haydn introduced Beethoven to Johann Albrechtsberger – counterpoint teacher. And, also took informal lessons from Antonio Salieri! for vocal composition since he had lived in Vienna since 1766. The contacts in Vienna were much more impressive than those in Bonn – but the ones in Bonn were the ones that got him in. 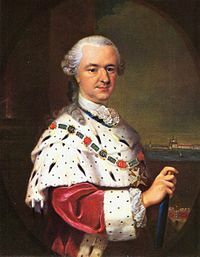 His Bonn employer was MAximilian Franz whose brother was the Hapsburg Emperor Joseph II. Prince Kinsky, Archduke Rudolph (younger bro of Francis II) – other patrons as well – Jerome Bonaparte, king of Westphalia, German-Bohemian Count Ferdinand von Waldstein, and of course Baron Von Swieten. I think Haydn provided the ‘link’ to all these people by giving Beethoven the extra lessons that he did and training him – although at the time Beethoven liked to think he was self-made. Something else that Beethoven was probably introduced to was the masonic link that Mozart, Haydn, and a few others were a part of. Haydn preferred what some would call ‘good’ masonry and didn’t much care for the myth and magic. If there is such a thing as good masonry – it would be that most of the jobs back then were assigned to people according to the trades that their families might have possessed for generations. In Germany, people were even named for their trades! The name cooper, for instance, was a group of people who made flasks or barrels to hold various things – including beer and whatever else. Anyways, I’m sure Haydn initiated him into the ‘masonic’ traditions so that there was an element of ‘help’ at all times from Haydn on that basis, too. Haydn was unusual because when he gained so much fame and applause for ‘the Creation’ oratorio – he gave all the glory back to G-d and pointed up and said ‘don’t give me the credit’ or something like that. Beethoven often mulled over the example of Haydn – so different than that of many others who were full of themselves. Haydn was specifically and unusually different. I would go so far as to say that he was the George Washington of music. He had high ideals and he deemed a certain organization and planned humanization of this earth by a Creator. Others recognized the devil and gave him more credit than the creator – by making the performer more important than the performed works. Beethoven picked up on this and was never concerned about his personal looks or how he came across to audiences. He was all about the music. althouh I find your suggestion of how Beethoven’s own background is integrated with his music very interesting and thoughtful, I have to agree with Per that it is a risky interpretation. When it comes to artists, their private life and their works, I have found that many people often overdo the psychological explanations and connections. Recently I made a reflection about this in a mail to a friend, although it was about writing rather than music. I wrote “if this theory is true, noone would interpret my novel better than my closest relatives, who know me the best”. No, it is NOT true. I said it myself here the other day, that I think of Beethoven’s music as “difficult music from a difficult mind”. But I think I’m learning now … and maybe I would be even more open-minded about the music if I had no idea whatsoever of who Beethoven was, what he looked like, anything at all. Still, I like to read about your ideas, as they stimulate the imagination quite a lot and help to give a new view on the music … but they can be untrue as well as true. Sure! And, Christina, I appreciate and understand what you are saying. However, the fact that Haydn was agreeable and helpful to Beethoven is an important thing to me. Haydn was not as difficult as some make him out to be. As far as I have read, he was quite the other way. A very cheerful, upbeat, helpful man who many called ‘papa’ Haydn. Cheers for doing this, mate. It really helps. I’m mostly self-teaching myself, so websites like this REALLY help me!